From September to November we’ve put together a number of new experiments in product mix and marketing. It’ll be interesting and hopefully valuable to see what works. We learned a lot of hard lessons about how and now not to describe Paperight to consumers. This and other feedback and experience in October led us to completely overhaul our messaging … and our marketing focus, shifting from pushing ‘Paperight’ to pushing our outlets and backgrounding Paperight. 15 Oct 2012: Content manager Tarryn attended the Frankfurt Book Fair. Here’s her blog post about it. 20 Nov 2012: I spoke at the Owl Club, a most venerable institution. Here’s the text of my talk. 13 Nov 2012: We were awarded an SAB Foundation Innovation Award Seed Grant of R100K. Paperight blog post. So, I’m three months in to my Shuttleworth Foundation Fellowship, which is three months into building Paperight full-time. 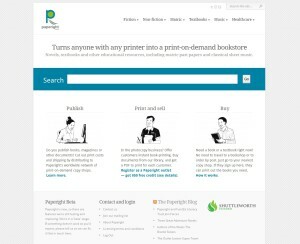 If you don’t know, Paperight is a website that turns any business with any printer into a print-on-demand bookstore. So, what have I been doing with that time? The first thing has been to get a working demo, or prototype site, up and running, so that we can show the service to others, test some ideas, and develop our vocabulary and sign-up documents in a live environment. So I knocked that together in WordPress during September, along with a bunch of back-room workflow tests and documentation. It’s been hugely valuable. With that done, it was time to start talking seriously to rightsholders, licensing agencies and content aggregators. So in October I headed off to the Frankfurt Book Fair and London to speak to a wide range of people. And the response was, almost entirely, overwhelmingly positive. Two years ago, when I first asked publishers about the Paperight concept, they were cautiously optimistic, but many were worried about how their books would look, and how much they would cost to consumers. Luckily for us, since then Amazon Kindle has shown that most readers just want stories and info, and that easy, affordable distribution is often more important than high-end production values when you’re growing a market. Suddenly a book printed out on A4 paper seems just fine. Especially if it’s on every street corner in countries you’ve never sold in before. So there were far fewer concerns from publishers about Paperight in 2011 than in 2009. Where there were concerns, they have been really helpful in tailoring our message. 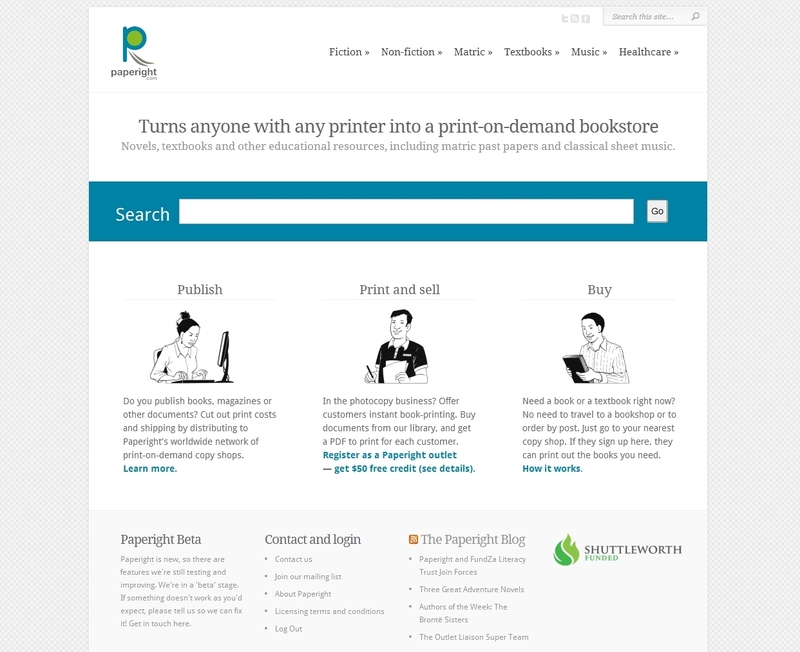 I certainly have a much better idea of what makes publishers interested in using Paperight. 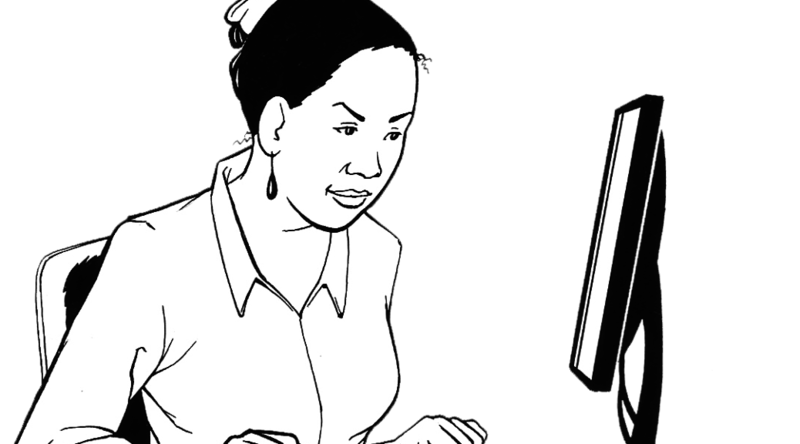 One key issue – which I discussed recently on the Paperight blog – is that Paperight can compete with piracy on accessibility, convenience, and often in total cost (energy, time, money). Our messaging is captured largely in our rightsholder agreement, which is really short, and in plain language. It took a lot of time and effort to get it that way. This is really important to us, because Paperight is built on the idea that the once arcane world of rights and licensing can actually be managed simply, and anyone can participate in it. I went through the distribution contracts of a bunch of other businesses, took the most important concepts, and boiled them down to simple sentences and paragraphs. The input of Foundation alumnus Andrew Rens was really valuable here, too. It’s something we’ll constantly evolve, but I’m pleased with the way we’ve started. Another important area of our messaging is pricing. Most people find it hard to believe it can be cheaper to print a book out than to buy a copy that the publisher printed in its thousands. But now we can show in most cases that that isn’t true. In the video that goes with this post, I give a concrete example of how a publisher can earn as much from a Paperight sale as from a conventional book sale, and yet save the consumer more than 25% on the retail price of the conventional edition. My conversations with rightsholders and others have also led to discussions about putting a range of non-book content on Paperight, including newspapers, exams, sheet music, classifieds and administrative documents. The process of prioritising and prepping this content will fall to our content manager.Tarryn-Anne Anderson joined us in November to work on this. Over the next couple of months, she’ll also be putting together a print catalogue of books and documents we think people will like, and we’ll put that catalogue in copy shops around the country. It’ll include textbooks, novels, past matric exam papers, how-to guides and more. 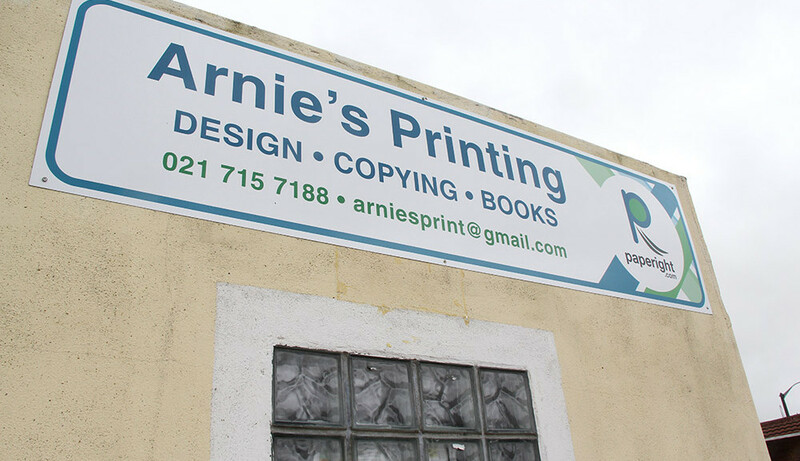 And from that we hope to learn more about what print-shop customers are likely to find most valuable. Meanwhile, all along I’ve been working on a redesigned site that will replace the working prototype in the first half of next year. It’s simpler and will be much faster. And it’ll give us the ability to distribute certain documents in certain regions, which is crucial to publishers who want to reach new markets without competing, for now, with their conventional editions in their home markets. This means long hours studying and developing user interface and user experience best practice, and chatting to print-shop managers about how their stores work, and how the Paperight site can best work at their point of sale. Here’s an early mockup of a product page, prepared long before I built the prototype. Working with the Foundation has been fantastic. I get to share ideas with and learn from a group of seriously amazing people, who’re working in mobile technology, user-created publishing, biocultural communities, open knowledge and educational resources, peer education, open data, citizen cyberscience, new approaches to IP, and more. And the Foundation staff work tirelessly to support our work and help us focus on making an impact. They all make the Paperight team much bigger than it seems on paper.